Planetarium utility designed for Mac. It offers amazing 3D particles with full camera and light support. ChemDraw is the industry leader of chemical drawing programs. The program measures layout images in any way you need. RegExhibit shows you what your regular expressions match as you type on a text. SCOtutor for Mac provides you with a Mac video tutorial for beginners. Mac OS X graphical interface for TeX Live Manager. A tool that will help you translate words and even entire sentences. This app helps you learn how to type Japanese words. This app gives you access to word explanations, synonyms, and antonyms. Get immediate access to detailed info about Apple products. Full-featured program designed for serious Bible students. Eloquent is a free application for research and study of God and His Word. Virtual mapping and topography tool by Google. Renowned as the world's ultimate application for computations. It teaches you how to handle default programs and OS X preferences on your Mac. This app provides you with info regarding various diseases. Edit equations and exports them to PDF format. Graph editor that runs on Java platfroms. Scientific calculator that allows you to enter your formulas. Fast and powerful tool for browsing maps. It is a technical computing tool for engineers, mathematicians, and scientists. 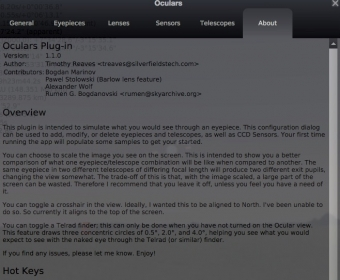 Smart simulator for exploring the Universe. Application that lets you perform complex calculations. World Book Dictionary is a powerful language resource for home, and business. Complete tool for learning and exploring Mathematics.